Passport Ready: Connect the Horizon fitness equipment to your tv with the separately available Passport Media Player and experience fascinating training tours ! 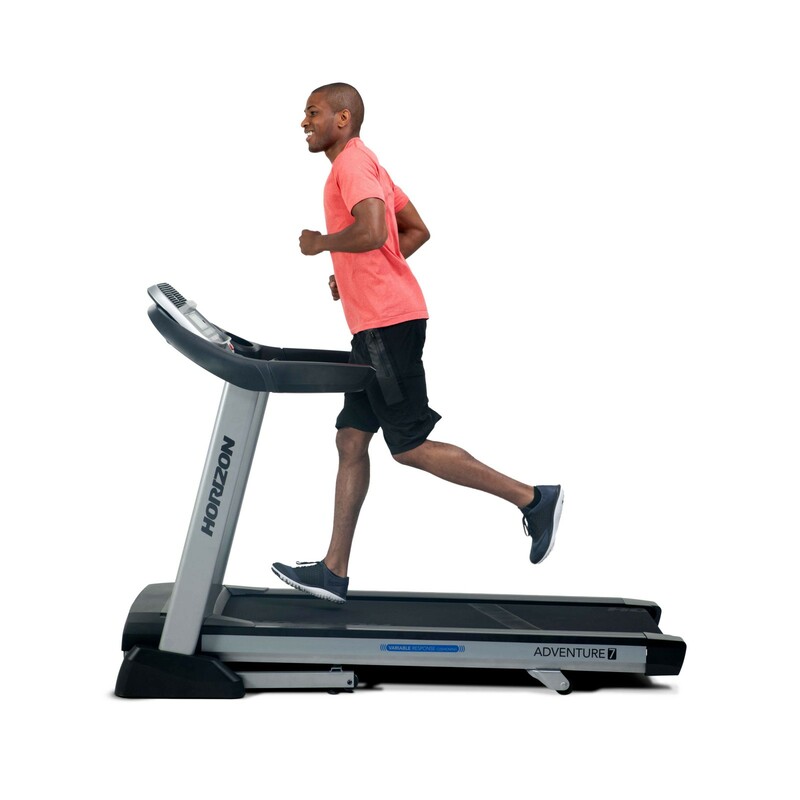 The top model of the Horizon Adventure treadmill series convinces by its big running surface for running comfortably and safely at speeds up to 20 km/h. Thanks to the folding mechanism, the multi-media-compatible treadmill can be space-efficiently stored after the training. 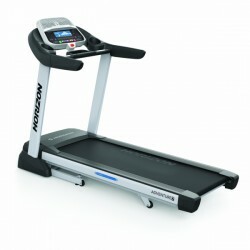 The digital drive system of Horizon treadmills offers a very smooth movement. Even for strong incline and speed changes, the treadmills works without jerking or stumbling. Horizon treadmill motors work with less rotations per minute, thus they are more silent and have a much higher durability. The Horizon treadmill folding mechanism Featherlight allows to store the treadmill space-efficiently between the training sessions. 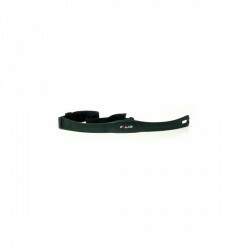 The hydraulic mechanism ensures that lowering and lifting the running surface is featherlight! The treadmill absorption is structured like a running shoe. 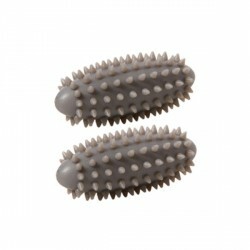 In front, the absorption is softer in order to absorb the power of stepping and save the joints. The middle zone is neutrally absorbed and the rear zone is harder in order to support optimally pushing off the foot. Horizon fitness machines with Viewfit technology offer a very easy solution for recording your training. The Viewfit technology allows to connect Horizon fitness equipment with your favorite fitness Apps. You do not have to transmit individually every training session, because the synchronization is done automatically! From now on, you can measure your fitness and health data even more precisely. It helps to keep with in, because recording and sharing your progress on Horizon fitness equipment demand, support, and motivate. Viewfit fitness equipment is already compatible with many fitness Apps and social networks - and it is becoming more and more! This Horizon fitness equipment is Passport Ready. This means, you can connect it with your tv via the separately available Passport Media Player. Experience fascinating training tours all over the world with your Horizon Fitness machine at home. Imagine jogging across the Rocky Mountains and hear scrunching the gravel under your feet or cycling along the riverside of the Lake Michigan in the Windy City Chicago. Resistance of the Horizon fitness equipment is automatically adapted to the tour: when it goes uphill, resistance becomes bigger. It is really like running there. 1a Kaufabwicklung sowie Lieferung eines Spitzen-Produkts - ein grosses Dankeschön allen Beteiligten im Hintergund! 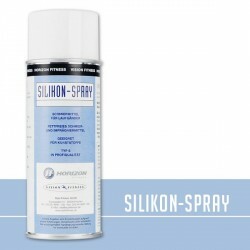 Horizon Protective Mat size C In stock! Passport Media Player In stock! Horizon treadmill Adventure 7 add to comparison list.